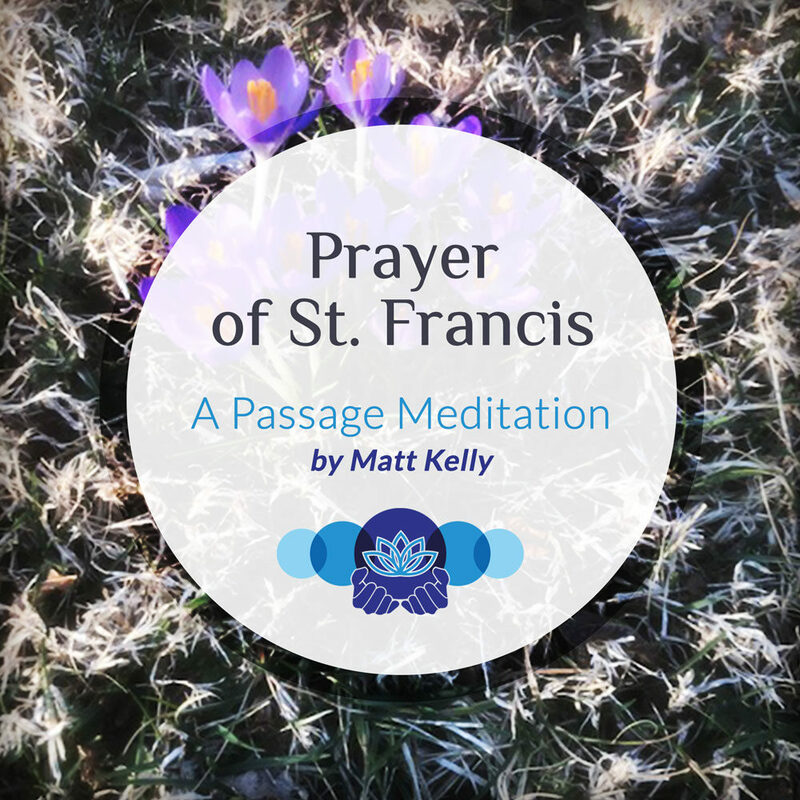 This passage meditation uses the Saint Francis Prayer as text for contemplation. Allow the loving language of this prayer’s intentions to open your heart. Francis of Assisi grew up in a life of privilege. He loved partying and dreamed of gaining glory in battle as a knight on horseback. Shortly after riding off to battle, he wound up in prison – broken and disillusioned. After his release he had a dramatic conversion experience and gave up his worldly trappings to work with the poor. He demonstrated his dedication to the teachings of Jesus through countless acts of selfless loving service to others. His prayer is a beautiful and concise summation of how he lived and what he taught his followers. Its central truth is that it is through giving that we receive. Healing of hatred happens by bringing love. Forgiving begets forgiveness. Doubt is erased by faith. And so on. Meditating on these verses in a contemplative manner opens you to its message in ways not available by merely reading the words. Allow the spirit of St. Francis to speak to you through the loving language of this sacred classic. This passage is known as the 11th Step Prayer in Alcoholics Anonymous.